At the Vancouver Sun Harry Jerome track classic, former Villanova runners were out in force. 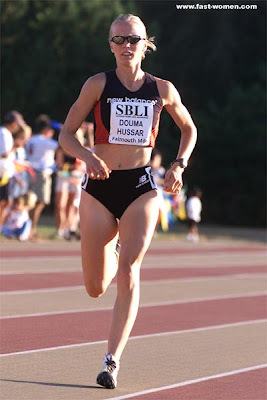 In the most prominent race, Carmen Douma-Hussar, a former world indoor silver medalist, ran 4:10.07 to win the invitational mile and qualify for the upcoming Commonwealth Games. Frances Koons was 7th in 4:15.58. Results are below. In other races at the meet, ex-Cats Sam Pawluk (3:56.44) and Allan Brett (3:55.83) also competed over 1500 meters. Sean Tully served as rabbit in the invitational 800.